15. Queen Letizia of Spain wore earrings with delicate beaded dangles at the FITUR Fair at Ifema in Madrid on Wednesday. 14. On Tuesday, Letizia chose another pair of long earrings, this time in a silver modern style, for audiences at Zarzuela Palace in Madrid. 13. 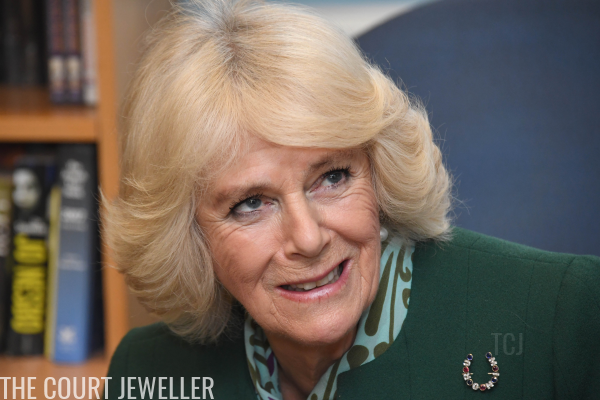 For a meeting at Davos with Angela Merkel and the Duke of Cambridge on Wednesday, Queen Maxima of the Netherlands wore a major statement necklace and coordinating earrings. 12. 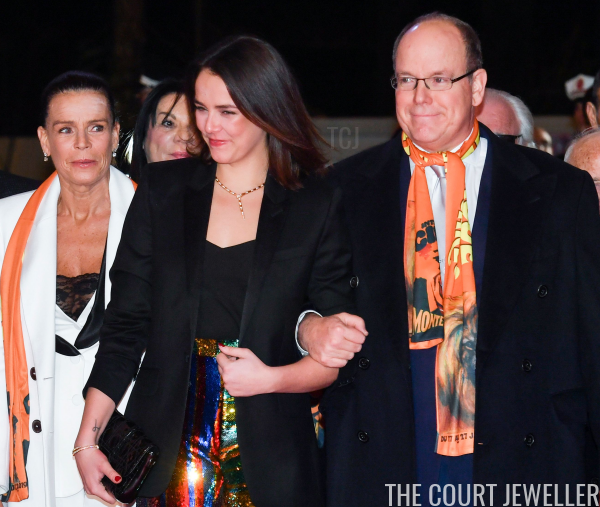 Pauline Ducruet, daughter of Princess Stephanie and niece of Prince Albert II of Monaco, wore a lariat-style necklace and matching bracelet on Tuesday to attend the 43th Monte-Carlo International Circus Festival. 11. 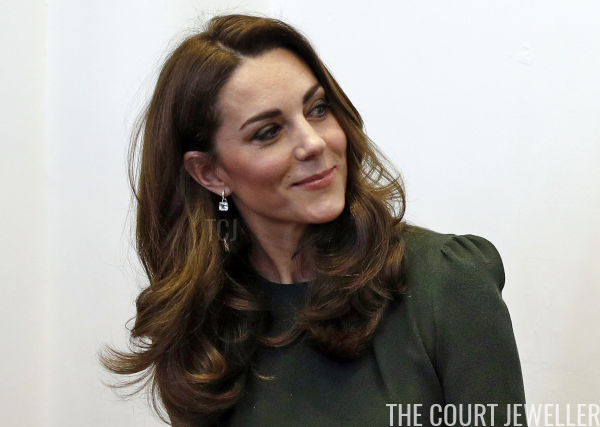 On Tuesday, the Duchess of Cambridge chose green amethyst earrings from Kiki McDonough during a visit to a new national support line at the charity Family Action in Lewisham. 10. 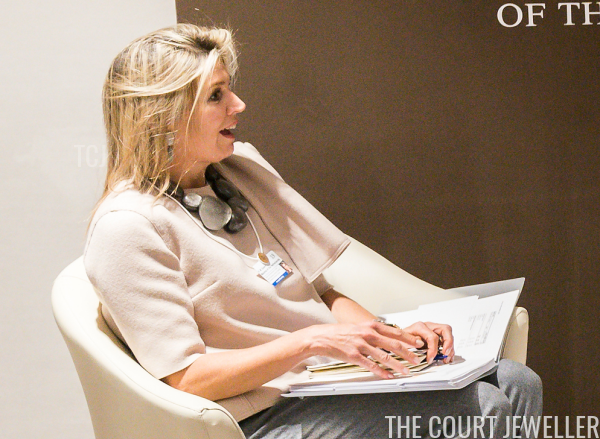 For audiences at Zarzuela Palace on Friday, Letizia wore a lovely pair of diamond hoop earrings. 9. 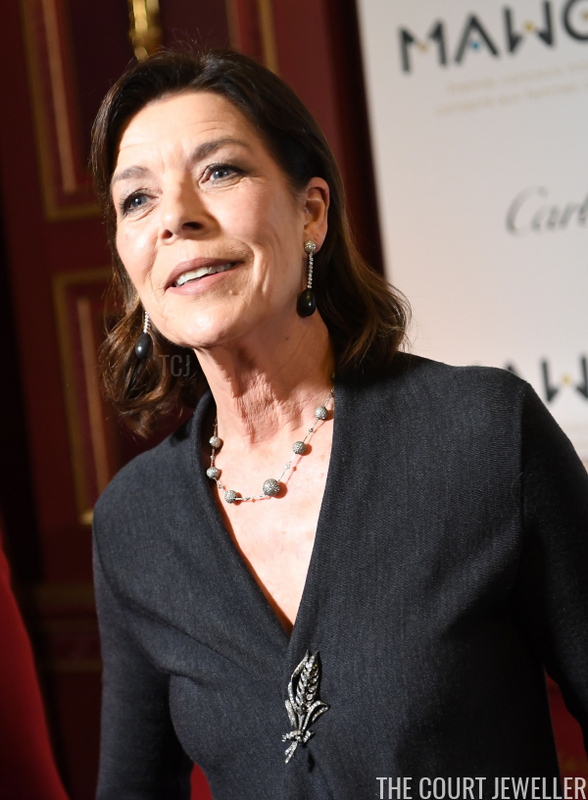 Cascading diamond earrings were Princess Stephanie of Monaco's accessory of choice for Tuesday's appearance at the Monte-Carlo International Circus Festival. 8. 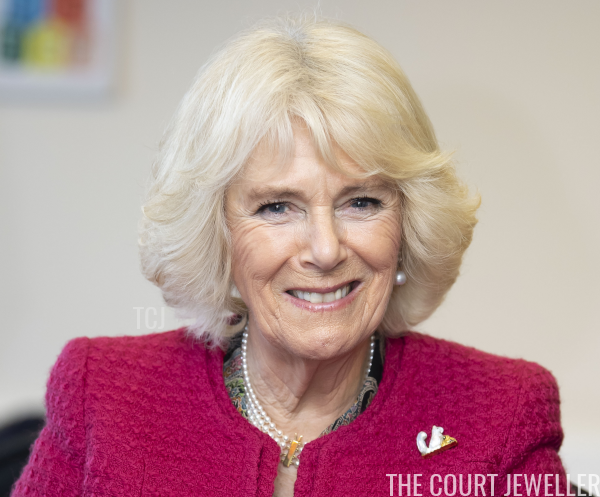 For a a visit to the Lyndhurst Centre in Swindon on Thursday, the Duchess of Cornwall wore pearls with a gold clasp and a cheeky squirrel brooch. 7. 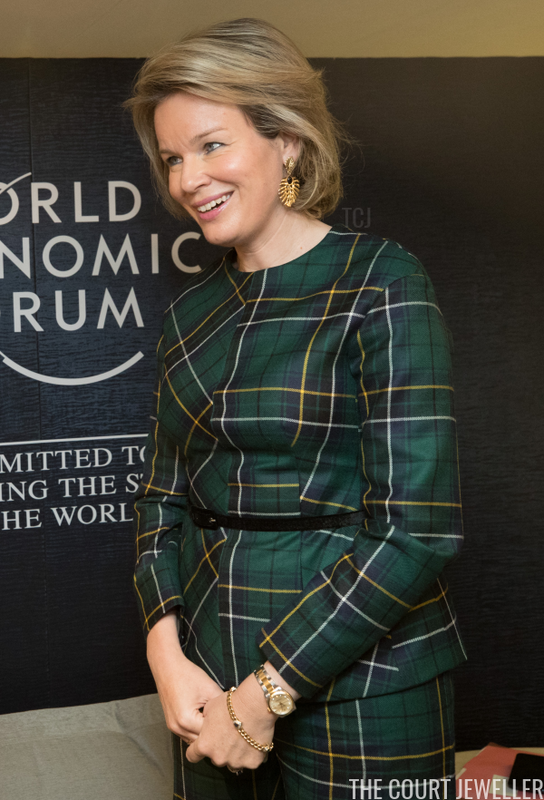 In Davos on Wednesday, Queen Mathilde of the Belgians wore golden jewels for a meeting with 2018 Nobel Peace Prize laureate Denis Mukwege. 6. 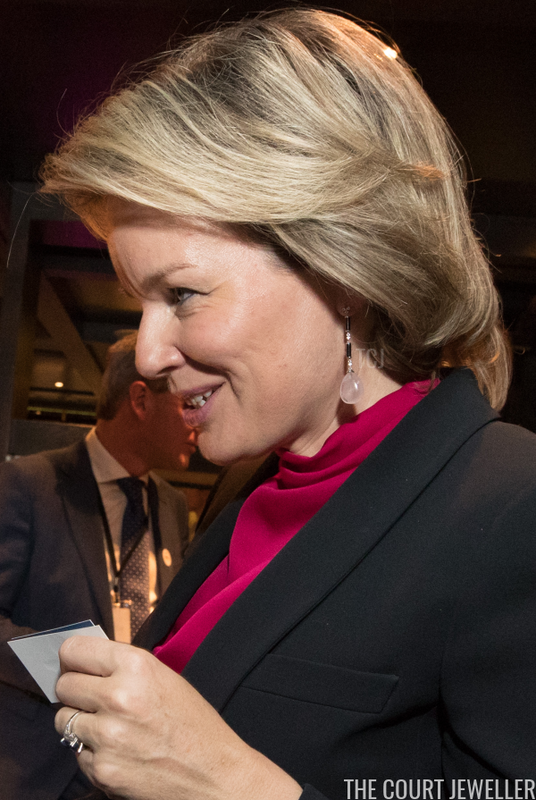 Mathilde changed into delicate earrings with a pale pink drop for more meetings on Wednesday in Davos. 5. 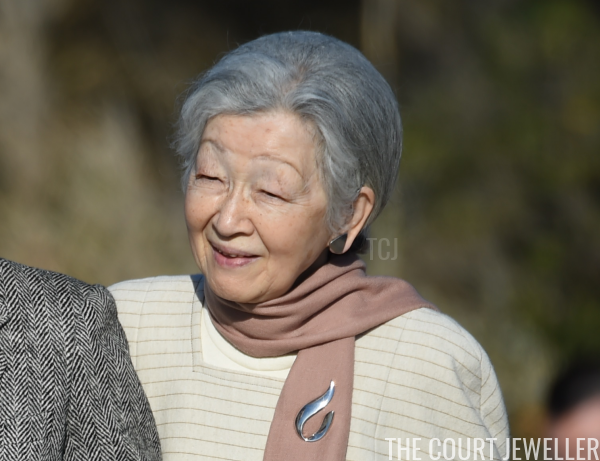 Empress Michiko of Japan wore silver jewels, including an elegant brooch, for a walk along the beach near the Hayama Imperial Villa on Monday. 1. 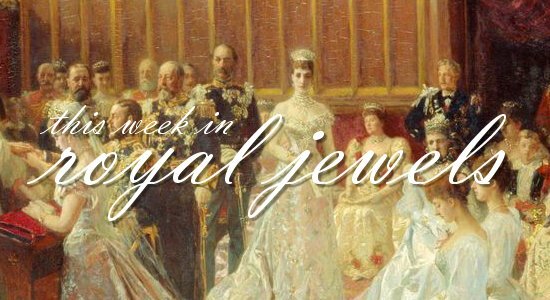 My top vote of the week goes to Princess Caroline of Monaco, who wore fantastic jewels -- including that amazing brooch! -- for the launch of the first International Competition for Women Conductors in Paris on Thursday.